Camping Sulzbachtal es un camping en Sulzburg, Baden-Wurtemberg, situado en el bosque. Este camping en terrazas tiene plazas con sombra, sin sombra y parcelas con algo de sombra. Cabe alquilar caravanas. Para los excursionistas, el camping ofrece programas de excursión, marchas guiadas y varias rutas para bicicleta. El camping dispone de una piscina descubierta. No tendrá que cocinar todos los días, porque en el camping hay snackbar y restaurante (pequeña carta). En el camping podrá adquirir productos alimenticios y pan fresco. Es posible utilizar el internet, pues en el 80% del camping se puede navegar por internet con el ordenator portátil. Este inspector visita cada año al Camping Sulzbachtal y lo inspecciona considerando más de 200 servicios y otros aspectos importantes. El inspector es un trabajador de ACSI y no trabaja para el camping. Camping staff will try to charge you extra for a number of things. Really over the top is the charge to disabled people who want to use the disabled toilet facilities. (You can use it for free if you collect & return the key at the reception every time you need to go). If you want to obtain a key to use without hassle and outside of reception opening times, there is a daily charge! Swimming pool is \"natural pond\", which is (end of august) very dirty and slippery. The few plants won\'t be able to copy with holidaymakers summer use. Expect getting ear infections. Table tennis table paint is coming off - unusable. Not possible to enter the campsite after 22:00 when you\'re in a wheelchair. Be ready to spend the night in your car. Not sure I want everyone to know how much we enjoyed staying here as it is our "secret". Very friendly and relaxed site next to a village and beneath a hill which is part of a pretty vineyard. Good bar and restaurant with friendly staff. Toilet/washing facilities excellent and there is good free travel around the area with a Konus Card. No swimming pool -needed during our heat wave- but a great site for couples in particular. Toilet and showers very good. Camping pitches quite spacious. Picturesque surroundings with lots of opportunities for walking and cycling. Some of the pitches are quite a long way from the entrance so quite a walk before you can exercise your dog. Wifi ridiculously expensive. As well as an environment tax (which seems common in Germany) there was another tax which I think is a spa tax. We were also charged for using more than 4kw per night, which was clearly a mistake. A first class site with large pitches, friendly staff and magnificent shower and toilet facility - spotless, lesson for all other campsites here. Local produce sold in the little shop and a small evening menu offered. Free Black Forrest train and bus journeys included within the price. ¿Desea reservar u obtener más información sobre su Camping Sulzbachtal? Puede hacerlo mediante los datos siguientes. A5 salida Heitersheim. B3 salida Sulzburg, antes de llegar al pueblo a la derecha. 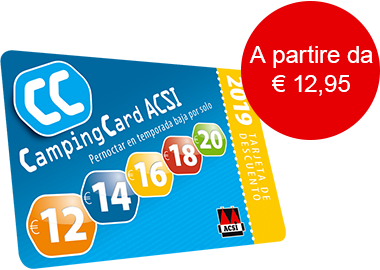 ACSI Eurocampings reenvía su solicitud de información al "Camping Sulzbachtal".